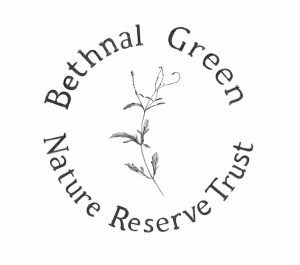 Bethnal Green Nature Reserve Trust (BGNR Trust) is a Charitable Incorporated Organisation established in April, 2016. It grew directly out of an ongoing collaboration between Nomad Projects and the Teesdale and Hollybush Tenants and Residents’ Association. Its three guiding principles are Ecology, Arts and Education. To promote for the benefit of the public the conservation protection and improvement of the physical and natural environment of Bethnal Green Nature Reserve as a place of ecological and historical interest in particular but not exclusively by educating the public about the site and encouraging its use for recreation and interpretation through the arts. The Bethnal Green Nature Reserve is a rare and extraordinary place. An old bomb-site that has gone back to nature, it has been nurtured and preserved over time by local people who have seen it not as waste ground, but as an urban haven for biodiversity – in the midst of an extensive social housing estate. The Bethnal Green Nature Reserve has been a resource for educational groups, for environmentalists and – over the past two years – the base for the ‘Phytology’ medicinal field, enhancing the biodiversity of the extensive site. 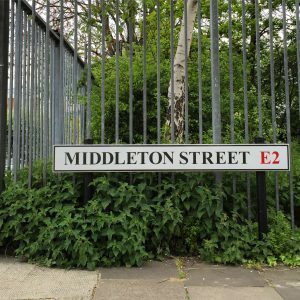 The site will be open to the public Fridays & Saturdays 11am – 6pm, May-September, 2018 (Middleton Street, E2 9RR). Come visit and experience it for yourself.